It’s a known fact that you can find yerba mate in many different products on the market today. Many of these products revolve around either weight loss or energy production (preworkouts). 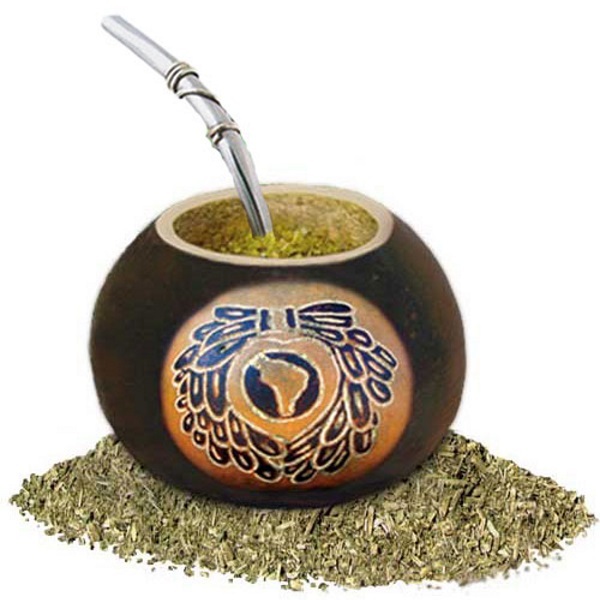 Yerba mate which originated from South America contains caffeine and therefore is considered a central nervous system stimulant and is created by steeping the ground leaves and stems of the plant itself. But there are many facets of this amazing herb (other than what was just mentioned) that are overlooked. Below will shed some light on why you should consider adding this product to your supplement stash. Free radical damage comes with the territory when exercising. Therefore these little gems are the perfect way to protect your body. In fact, yerba mate is known for having over 90% more antioxidants than green tea. With continued use, yerba mate can help aid in fighting the effects of father time, reduce stress, and may even help prevent certain types of cancer. Now you don’t have to just eat an apple a day as yerba mate’s immune system properties can also help keep you clear of the doctor by fight off any nasty’s that try to invade your system. Yerba mate contains the amino acid L-theanine which research has shown to enhance focus and concentration. The combination of the caffeine as well as the L-theanine gives you the perfect performance enhancement by giving you the energy you need but the mental energy and focus to complete the task without any of the negative side effects associated with many of the energy drinks and supplements out on the market today. If you suffer from digestive issues, yerba mate might be able to help you. Yerba mate has the ability to help increase the production of bile which is produced by the liver and stored in the gallbladder to help break down food as well as stimulating the release of gastric acids. Further down the process, this herb can help keep your colon clean by allowing the body to fully eliminate waste. While yerba mate doesn’t do anything specifically to the heart itself, it does help reduce the risk of a heart attack or stroke by preventing blood clots. Cholesterol and fat can move through your bloodstream without building up on the walls of your arteries and can help prevent arteriosclerosis. Researchers from the Federal University of Santa Catarina has done extensive research on yerba mate and has found it to aid in recovery from strength training. Their specific research has shown that this herb can increase recovery by nearly 9% compared to not using the herb. Yerba mate also contains anti-inflammatory properties to help speed up the recovery process. This amazing herb contains a plethora of vitamins, minerals, and compounds to aid in your overall health. *Consult with you doctor prior to using yerba mate to ensure you are healthy enough to consume this herb and that there are no interactions with any medication that you might be taking.